While each version of Minecraft, in regards to platforms (Computer, Consoles, Pocket Edition, Pi Edition, and Windows 10 Edition) are all generally the same thing, some are more limited than others. Let's list the positives and the potential negatives (depending on who you are and what you are using this game for) of each version. Of the various platforms, Minecraft is available on, the computer version of the game is easily the most updated and user-friendly. The various updates for Minecraft are rolled out much earlier in the computer iteration of the game before hitting the other available platforms. As the updates for Minecraft are implemented into the computer iteration of the game first, people tend to create elegant projects upon release. Some of these projects are (and are not limited to) Resource Packs, Custom Maps, Redstone contraptions, and much more. There are other notable aspects of the PC version of Minecraft that make it more suitable for playing versus the other platforms. There are fewer limitations in terms of items, world size, servers, commands, modifications, user-created resource packs, controls, and many more settings to smooth your gameplay and make the game feel much more natural to you. If gaming-on-the-go is more your cup of tea, Minecraft: Pocket Edition may be exactly what you’re looking for. Minecraft: Pocket Edition has been released on a multitude of platforms. These platforms are Android, iOS, Fire OS, Windows Phone 8.1 and Windows 10. A significant advantage in terms of this specific version of the game is the price. For $6.99, Minecraft: Pocket Edition has a beautiful ring to it. It is the most affordable version of the game in terms of platforms and is excellent for immediate gaming. A definite downside to the Minecraft: Pocket Edition experience, however, is having fewer options in terms of settings, resource packs, skins, servers and updates (for example, a lack of The End). Another potential downside is screen size and the controls themselves, as generally, it’s all done by using fingers on a screen. Updates are rolled out much later for these versions of the game as they must be optimized for compatibility. Minecraft: Pocket Edition is a great way to play however if you enjoy Minecraft and want it to invade your phone (and free time) one block at a time. Mobile and computer gaming is not for everybody. Some people like to stick with the classic feel of using a controller and playing on a console. This is where the Minecraft console editions come into play. 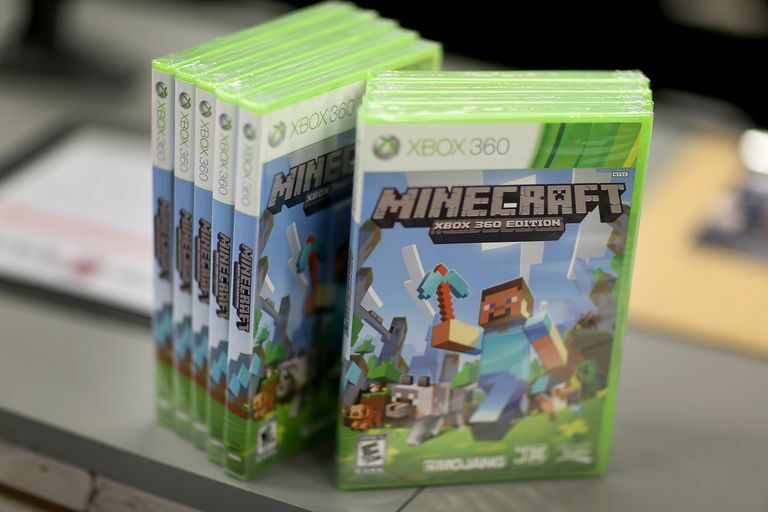 The console version of Minecraft is currently available on the PlayStation 3, PlayStation 4, XBOX 360 and the Xbox One. Of all the platforms Minecraft can be played on (besides computer), the console versions tend to have most of the positives. The console edition of the game shares more similarities with the computer edition of the game with little differences here and there. A significant difference in terms of the various platforms Minecraft is available on is world size. On the XBOX 360 and PlayStation 3 Edition of Minecraft worlds are limited to an 864x864 block map. On the Xbox One and PlayStation 4 Editions of Minecraft, the worlds are limited to a 2500x2500 block map. In comparison, the computer version and Pocket Edition of Minecraft surpass that limit by creating a seemingly infinite world. This edition of Minecraft is based on the Minecraft: Pocket Edition version of Minecraft. Using the Minecraft: Pocket Edition version for this platform allows for support with multiple programming languages. It is free to download edition of Minecraft, so jump right in if programming is more your style! If you’re looking to play Minecraft choose whatever you feel comfortable with. However, make sure before purchasing one of these versions you understand that each version of the game is very different. The console versions and the computer version of the game are the most updated in terms of content. The Pocket Edition of the game is also perfect for on-the-go gaming. Lastly, the Pi Edition of Minecraft is more so based on programming than it is playing. So, whether you’re kicking back relaxing or on the move in life, have fun and keep building! The Pros and Cons of Minecraft PE vs PC: Which Version is Better? Minecraft Realms: Are They Worth It?